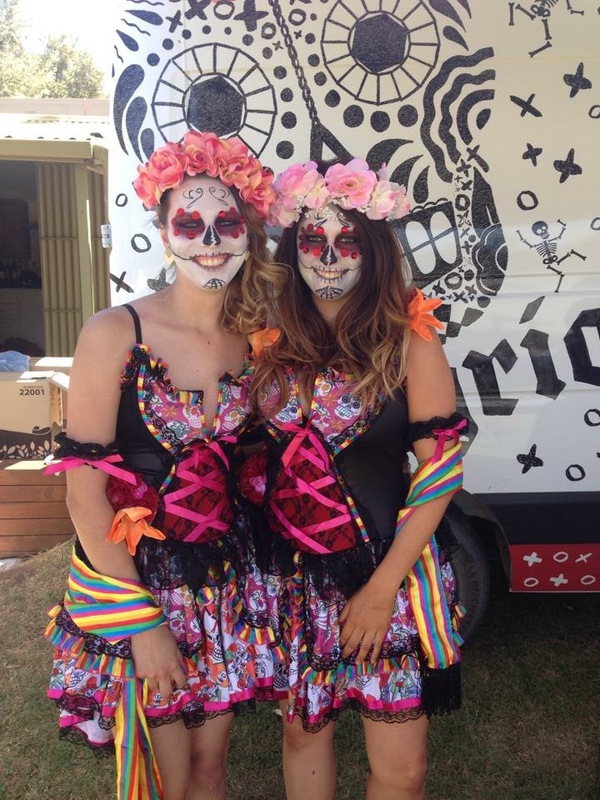 The Day Of The Dead is a traditional Mexican holiday celebrated on the 31st October, 1st & 2nd of November. A time where friends and family gather to remember those who have past. On this holiday Sangria is the drink of choice and sugar skulls are used to honour the past. Although this may seem dark in nature, it is very much a celebration of life. We intend to honour the origin of the festival and bring it to you with the addition of the river lifestyle. Combining halloween, wake-boarding, camping, live music and local food- it is going to create one awesome weekend not to be missed. This year we are having some amazing shows on offer. Hopefully, next weekend, you really are going to feel like you will be in Mexico at The Day Of The Dead. Popular mariachi band, The Three Amigoes Roving, will be playing along with gorgeous Brazilian samba dancers. It will be an unforgettable and unmissable event full of live entertainment. Prizes are up for grabs for best dressed, best photos and the biggest carp. It is next weekend, the 31st of October so get your costumes ready!! Step 5 tag all your friends and get the most likes. Drinks specials on Sangria, beer and cider with Pete’s Pizzas and American style hotdogs on the menu. Saturday we will be closing early at 2pm for Steven and Kendal’s wedding. Get in early for lunch with Local Tasting Platters and BBQs on the menu. Sangria Sunday? Sounds like a plan. Pair a Caudo Sangria with a fresh gourmet pizza on Sunday. The gourmet pizza’s are such a hit we will endeavour to have them every weekend! Now that the rain has cleared, it will be nice and sunny for Friday and Saturday. However, we are in for some more light rain ahead. Some possible showers on Sunday which will ease on Monday. Riverland farmers and growers are loving this good drink of water for their crops.